CD-39: Which Republican Will Run for Ed Royce’s Seat? A political earthquake shook Orange County yesterday afternoon when Congressman Ed Royce (R-Fullerton) unexpectedly announced that he would not be running for re-election this year. First elected to the California State Senate in 1982 and to the United States House of Representatives in 1992, Royce is the longest currently-serving elected official in partisan office in Orange County (and the third-longest currently-serving elected official in the County as a whole*). There is a running joke in political circles that there must be Royce is secretly twins or triplets because of his ability to be in two or three places at once in his district. Royce always kept a jam-packed calendar whenever he was returned to the district from Washington, DC. His hard work in the district managed to allow him to win by double-digit margins in this swing district. He developed his work ethic from his first election when he won a swing seat in the State Senate. In every campaign for re-election to Congress, Royce would set up one of the largest campaign apparatuses in Orange County. Royce also currently has the largest campaign warchest in Orange County, standing at $3.5 million. So significant is Royce’s strength in the district that when he announced his retirement yesterday, the Cook Political Report moved CD-39 from “Leans Republican” to “Leans Democrat” skipping the “Toss Up” label entirely. Supervisor Michelle Park Steel is well-known in the large Korean-American community in CD-39 as well as in the district’s large Asian-American community. She represented the Orange County and San Bernardino County portions of CD-39 when she won two elections to the State Board of Equalization. Additionally, she is one of Orange County’s most prolific fundraisers and would have little trouble raising the significant sums of money needed to wage a campaign in one of the nation’s top swing seats. (Of course, millions of dollars will pour into this seat on both sides, from IEs/SuperPACs, DCCC, NRCC, DNC, RNC, but it always helps when the candidate can raise significant sums.) To run for CD-39, Steel would have to abandon her bid for re-election to the 2nd Supervisorial District, setting off a scramble for that seat. Assemblyman Phillip Chen represents 61% of CD-39 voters, with 225,000 of the 367,000 CD-39 voters also residing in AD-55. Prior to his election to the Assembly, Chen won two elections to Diamond Bar’s Walnut Valley School Board. Chen raised several hundred thousand dollars in his unsuccessful 2014 bid for AD-55 and his successful 2016 bid for AD-55. However, Chen would be giving up a safe Assembly seat for a swing seat in Congress. Chen is an Assemblyman because his predecessor gave up this safe Assembly seat for a swing seat in the State Senate. Chen switching to CD-39 would also set off a scramble for AD-55. Speaking of Chen’s predecessor, former Assemblywoman Ling-Ling Chang represented the same 61% of CD-39 that Chen does. 71% of CD-39 voters may recall Chang’s bid for SD-29 in 2016, when she narrowly lost to now-Senator Josh Newman. Before her 2014 election to the Assembly, Chang won one election to the Walnut Valley Water Board and two elections to the Diamond Bar City Council. She raised several hundred thousand dollars in her successful 2014 bid for AD-55 and a whopping $3 million in her unsuccessful 2016 bid for SD-29. 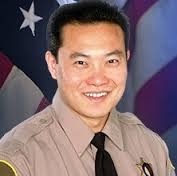 Chang grew up in Diamond Bar and is a graduate of Diamond Bar High School. Chang is currently in the midst of her bid to be the replacement if Newman is recalled on June 5. If Chang switched to the Congressional race, it would leave Fullerton Councilman Bruce Whitaker the leading Republican replacement candidate for Newman. While legally possible to run in both the recall and the Congressional race, it is politically impossible to do so. *The longest-serving elected official currently in office in Orange County is Orange County Water District Director Phil Anthony was elected to the Westminster City Council in 1962, Mayor in 1972, County Supervisor in 1976, and water board in 1981, where he’s been ever since. In second place is Westminster Councilwoman Margie Rice, who was elected to the School Board in 1977, City Council in 1994, Mayor in 2000, and back to the City Council in 2012. A notable mention is Coast Community College District Trustee Jerry Patterson was elected to the Santa Ana City Council in 1968, Mayor in 1972, and Congress in 1974, but he had a hiatus from elected office from 1984 (when he lost his Congressional seat to Bob Dornan) to 2000 (when he won his current college board seat). Patterson was elected before Rice and Royce, but his long hiatus places him behind them for years in office. Walnut Valley Unified School District Trustee Phillip Chen (R-Diamond Bar) dominates fundraising, spending, cash-on-hand, and even loans in the 55th Assembly District race. Chen’s contributions, cash-on-hand, and loans each exceed that of all his opponents combined while his expenditures exceed that of his next two closest opponents combined. At the end of 2015, Chen’s cash-on-hand was $141,556, more than 4.5 times that of his opponents combined. Councilmen Steve Tye (R-Diamond Bar) and Mike Spence (R-West Covina) had a combined total of $31,597. Councilman Ray Marquez (R-Chino Hills) and Social Worker Gregg Fritchle (D-Walnut) did not begin raising money until 2016. In 2016, Chen raised $169,276, with all four of his opponents raising only a combined total of $99,461. For extra measure, Chen lent his campaign $100,000, with his opponents having a combined total loan amount of $12,250. Chen’s cash-on-hand of $228,505 nearly quadrupled his opponents’ combined total of $57,318. Even after subtracting out unpaid bills and loans, Chen’s $115,695 is nearly triple his opponents’ combined total of $39,410. Chen has significant resources available to him to deliver his message to the voters while Spence has enough money remaining for 1-2 mailers, with the other candidates struggling to fund even one mailer. Chen, Tye, and Fritchle were all defeated by then-Councilwoman Ling-Ling Chang (R-Diamond Bar) in 2014. However, with Chang not seeking re-election to the Assembly (opting instead to run for the Senate), this allowed the other three to again contest the seat just two years later, joined by Spence and Marquez. In the 55th Assembly District race, Walnut Valley Unified School District Trustee Philip Chen raised more in three days in the race than all of his opponents raised combined for the entire race so far. Chen reported $141,556 cash on hand, but $100,000 of that was a loan. Diamond Bar Councilman Steve Tye reported $26,029 cash on hand across three accounts. Chino Hills Councilman Ray Marquez reported $3,950 cash on hand. West Covina Councilman Mike Spence did not file an electronic campaign finance report, so we know he had raised less than $25,000. The sole Democrat in the race, Social Worker Gregg Fritchle, does not have an open account. Chen’s $41,555 in contributions were all received in the last three days of the reporting period: December 28-December 31. Tye’s $33,194 in contributions all came in during the last three months of the reporting period, covering October 1-December 31. Marquez’s $3,950 in contributions came in during the last four weeks of the reporting period: December 5-December 31. Interestingly, there were no transfers from any of these officeholders’ prior accounts. Of course, it could be because Chen’s school board account and Tye’s City Council account have negligible balances, as do their 2014 Assembly accounts. Marquez had closed his City Council account. Chen and Tye have significant debt from their 2014 Assembly accounts, demonstrating that both are willing to spend their own money in the 2016 race. In their 2014 Assembly accounts, Chen owes himself $100,399 while Tye owes himself $57,600. Here goes another handicapping post, I fear that Chris Nguyen is going to chase me with the axe from the Neel Kashkari mailer. I am going to give my take on the 55th Assembly District, which is Curt Hagman’s seat, which he cannot run for due to term limits. Gregg Fritchle has run for this seat before and is the lone Democrat on the ballot this election. Let’s take a look at his electoral history. Fritchle has no chance to win in November and likely will not run a very comprehensive campaign being that he is a sacrificial lamb on the ballot. However, he is still the only Democrat in the race and with a solid backing in the last election among Democrats, Fritchle does not have any other candidates pulling from his base of voters. With Fritchle not qualifying for electronic campaign finance filings, we can assume that he does not plan to get involved in the voter contact battle that will exist among the three Republicans in the race to advance to November. Steve Tye is sort of the curious candidate in this race. I do not really understand why he is running and he does not appear to be in a good position to advance to November and I will show you why. I will give him this, he did finish ahead of Ling-Ling Chang in the past two Diamond Bar City Council Races, but I am not convinced that he is a contender based on his campaign being the weakest of the three Republicans. Let’s take a brief look at his electoral history. As you can see from the election results, Tye does extremely well in races that take place in odd years in Diamond Bar. This election, though, is the big leagues, and he is going to need a much stronger effort to win a seat in the State Assembly. As of the last reporting period, Tye has over $123,000 cash on hand although this does include a $100,000 loan from himself. I have not heard about any mailers going out from his campaign but will admit that I was impressed to hear that he does have a pretty substantial precinct operation that his campaign is running. I question whether or not he can raise enough money to fight the powers of Ling-Ling Chang and Phillip Chen who have dominated the mailboxes up until this point. Tye will likely pull some votes away from Ling-Ling Chang by virtue of his name ID in Diamond Bar. However, I anticipate that he will pull more votes away from Phillip Chen due to the fact that the male voters will be split between three candidates. Ling-Ling Chang is the other Councilmember from Diamond Bar that is running in this race. She is the only female candidate on the ballot and has got a lot of money in her campaign war chest as of the last reporting period. Ling-Ling Chang snuck onto the City Council in 2009 but showed a great deal of improvement in 2013. Let’s take a brief look at her electoral history. As you can see from the election results, Chang closed the gap between herself and Tye in the 2013 race. I expect her to finish substantially ahead of Tye in the areas outside of Diamond Bar. Impressively, Chang has over $325,000 cash on hand as of the last reporting period, although this also includes a $100,000 personal loan. Chang not only has the most direct mail going out to voters but she also appears to have the best ground game from what I have heard from my sources in the 55th Assembly District. She is definitely putting in the work needed to come out a winner in this race. At this point, it is her race to lose. Phillip Chen is fighting with Ling-Ling Chang for the top slot in this election. Chen is a member of the Walnut Valley Unified School District and is also a staffer for LA County Supervisor Mike Antonovich. I am not impressed with his usage of the ballot designation Small Business Owner. Chen does not have as much name ID as Steve Tye or Ling-Ling Chang, but he does appear to have the most money with over $450,000 cash on hand, although as with the other two Republicans he has also loaned himself the magic $100,000. It appears that he has dominated slate mailers up until this point, but I have not been very impressed with the direct mail that he has put out or the TV commercial that he has put up on cable. The Diamond Bar Republican Women Federated is hosting a candidate forum tonight at the Diamond Bar Golf Course. 7:10: Diamond Bar Mayor Carol Herrera led the pledge. 7:11: El Monte Councilman Jay Gomez was introduced as candidate for County Supervisor in the 1st District, which includes Walnut. Gomez stressed importance of public safety to protect all communities. 7:16: Attendees are proceeding to dinner. 7:57: Phillip Chen introduced himself and appreciated those in attendance taking time out of busy schedule to listen the candidates. Chen thanked Republican Women efforts and being backbone for the party candidates. Chen spoked of his education and as a business owner and endorsements from Assemblyman Hagman, Supervisor Shawn Nelson and host of others joining the campaign. 8:01: Steve Tye introduced himself by introducing his wife, Patty Tye. Tye stressed the reason why he ran for Council in 2005 regarding the library tax and that the county library must step up to the plate to build a new library. Tye mentions experience as President of the Contract Cities. 8:05: Question about Common Core: Chen is against it with reminder to the audience that as a Board Member of Walnut-Valley School District he sees problems as the district is the lowest funded per pupil in the county. The problem is removing bad teachers. Chen stressed importance of change in the education funding formula. 8:10: Tye mentions his wife who is a Special Education teacher and he, too, is against Common Core. Tye brings up the need to audit all aspects of public education and importance to use resources properly with point that we have a spending problem not a revenue problem. 8:16: Question about the bullet train (High Speed Rail). Tye stress that it is time to get rid of it. Tye says, “We have a bullet train and it is called Southwest Airlines.” Tye attempts to make a point that HSR from Los Angeles to San Francisco would take 2 hours as it is shorter by air via airplane. Tye urges transportation funding to be used for infrastructure projects. 8:19: Chen spoke out against HSR as well with emphasis on the dollars currently being spent of $68 billion with no tracks in place. Chen brings up question of where is funding to repair the tracks highlighting example of the Alameda Corridor that flows through the San Gabriel Valley the cost or repairing tracks is at a price of $20 Million alone. 8:24: Who is your personal hero? Chen mentions Ronald Reagan. Tye mentions George W. Bush and efforts in Iraq. 8:28: How to handle the problem of birthing centers being used by women coming in from Asia? Tye stressed that the problem is illegal and spoke with Rep. Gary Miller about the ongoing problem with urgency of problems of the 14th Amendment. 8:31: Chen highlight the problems of “anchor babies” and the birthing centers are wrong as it is unsafe and unfair to neighboring residents in a community. Chen stress that if people want to come to the U.S. they must learn about USA and they must respect laws. 8:35: Tye rebukes the question stressing that taxes and fees ARE NOT the same thing. 8:37: Chen agrees with Pacheco that fees ARE taxes. This is an excellent piece written by Bob Huff on Ling-Ling Chang and why she is the best choice for voters in the 55th Assembly District. I’m supporting Diamond Bar Councilwoman Ling-Ling Chang for the State Assembly because she has the kind of experience and values we need in the Legislature. On the City Council, Ling balanced every budget, never raised taxes, built a $17 million reserve and helped make her city one of the safest in California. As an elected member of a local water board, she worked to ensure reliable delivery of water without raising taxes or rates. During her time as President and CEO of the Youth Science Center, she worked with young people to emphasize science, technology, engineering and math (STEM) skills. And, as a Councilmember, she’s working to create new jobs and cut her own pay to help the city stretch its tax dollars. Ling-Ling Chang is the real deal. 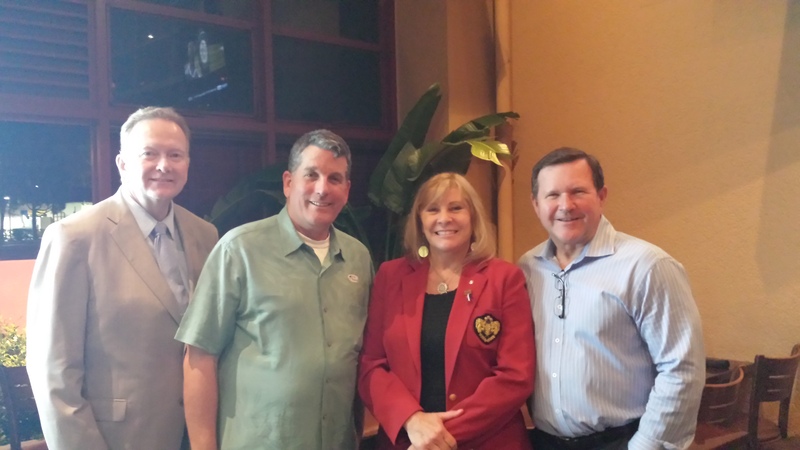 She has been solving problems in our region for almost 10 years as a Water Board member, City Councilmember and Mayor. I’m grateful that I’ve been able to rely on her advice and live in a city she helps govern. Now, more than ever, we need honest and fresh leadership. I believe we have found, can find and will continue to find that leadership in Ling-Ling Chang. Ling has earned my support time and again, and I hope she can earn your support in the June primary, as well. Crime Victims United of California (CVUC), the state’s leading crime victim advocacy group, has endorsed Republican Phillip Chen in the race for the 55th Assembly District. Phillip Chen is a local Republican leader, small business owner, elected school board member, and reserve deputy sheriff. He recently received his doctorate degree from the University of Southern California. Phillip is running in the 55th Assembly district with the support of incumbent Republican Assemblyman Curt Hagman. Crime Victims United of California is comprised of two distinct, yet complementary groups — a legislative advocacy arm that works to strengthen victims’ rights laws and a political action committee that lends its endorsement and financial backing to pro-victim candidates.